NeuroPath is a patient generated health data and device agnostic platform integrating deep learning approaches from which to develop actionable & adaptive clinical support to improve health care. The problem we solve: THE NEED FOR BETTER PATIENT MONITORING: 1 vs 8,765 HOURS PER YEAR "I see my neurologist every six months for a thirty-minute session and thus spend every year a total of one hour being observed with the UPDRS. That leaves 8,765 hours per year when my disease is not being monitored." (Sara Riggare, Parkinson's disease patient and advocate for patient empowerment). While we currently focus on Parkinson's disease (PD), our system can be applied for all neurological/movement disorders. 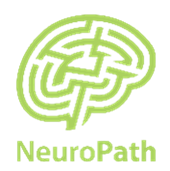 About our solution: NeuroPath develops a patient generated health data and device agnostic platform integrating deep learning approaches from which to develop actionable & adaptive clinical support to improve health outcomes. We use a combination of video recordings, wearables and speech analysis to capture patient health and mood data. The platform we envision will track motor and non-motor features of patient activities of daily living and provide real-time feedback to the patient, the family and the caregivers. Today, we have a Minimal Viable Product that we are field testing. It allows us to capture patient movements with a 3D camera and computer vision algorithms. Our platform will integrate data from commercial wearables such as accelerometers perform analytics to assess motor skills and eventually we will work towards real-time disease state assessment. We have ongoing clinical trial testing in 3 studies in Belgium with in-clinic and remote patient monitoring. In the future, we envision incorporating non-motor biomarkers linked to speech, mood, sleep quality and physiological signals(heartrate, blood pressure) into our platform. Also we are in beta testing stage of an exergame to try and make therapy more fun as well as more accessible to a larger demographic of patients. Bio: Medical graduate/entrepreneur looking to disrupt the healthcare space by advancing movement disorder care and mitigation via remote patient monitoring. Biography: I am an entrepreneurial and creative leader with international experience, backed by solid finance skills and a strong background in blue chip consumer goods companies, private equity and medium sized companies. Biography: Data Scientist responsible for platform design and application. Have prior experience helping to build the experimental design for project Bluesky: integrating wearables and sensors into clinical trials as a contractor for Pfizer’s developmental medication to treat Parkinson’s Disease. Regular home monitoring will motivate patients to adhere to a care path of physical exercise and medication. Structured exercise improves the functional performance of patients and leads to a better quality of life. This results in net monetary benefits (NMB) for the health system. The annual excess cost of a Parkinson's disease patient is over $300k per year, and studies show that a 20% slowdown in the progression of the disease can lead to a NMB of $75k per patient. The platform we envision will track motor and non-motor features of patient activities of daily living and provide real-time feedback to the patient, the family and the caregivers. The platform we envision will track motor and non-motor features of patient activities of daily living and provide real-time feedback to the patient, the family and the caregivers. With the data received each physician will have access to each patient's data and therefore will be more informed on each patient with data on compliance as well as adherence to care path provided. With the new data at hand we believe the physician will make a more informed decision as well as individualizing treatment strategy for each patient. One of our future concepts is to alert the necessary care path provider when there is a high level of variability from established baseline. This will provide the patient and entire care team with valuable data to help or even prevent future issues. In the future we want to reduce the burden on the hospitals by identifying high risk patients through remote data analysis to reduce unnecessary admissions. By filling the void between in-clinic care and at home care we hope to reduce admissions, increase patient awareness, and increase compliance/adherence to care path strategy. This in turn will lead to a more tailored care path strategy along while empowering patients and care path providers alike. We think our device agnostic monitoring strategy will help Big Pharma in better monitoring of movement disorder drug trials, insurance companies by identifying and rewarding compliant patients, and help physicians with a collection of concise data to save them time as well as aiding them in making a more informed treatment strategy. By providing a remote exercise system we can help physical therapists and occupational therapists concentrate on the more distressing cases. Each of the providers will get notified of the patients progress thereby forming a strong bond of communications between care path organizers. Alice Nieuwboer, Full Professor KU Leuven, is the Head of the Neuromotor Rehabilitation Research Group at the Department of Rehabilitation Sciences at KU Leuven, one of the world’s leading departments in neurorehabilitation. Dr. Gaëtan Garraux, neurologist, heads up MoVeRe, a group of scientists involved in the study and care of patients with Parkinson's disease and other movement disorders. Anne-Sophie Bridoux and Jean-Yves Parfait are engineers at Multitel, a research and innovation centre that offers services to companies and develops new technological concepts in signal & embedded systems and computer vision. Lieven De Maesschalck is Innovation Manager at Mobilab, a multidisciplinary centre of expertise, conducting applied research into wellbeing and technology. We have one US patent application pending and 3 more to be disclosed in the next weeks. We have academic partners specialized in Parkinson’s disease motor analysis, a technology partner specialized in signal embedding and computer vision algorithms and can use 2 movement analyses labs for validation and development. We have 3 ongoing clinical trials in Belgium and would like help funding and setting up a clinical trial in the United States. Also, we have established communications with a few local academic institutions (RUSH, Northwestern, Shirley-Ryan, and Warren-Barr) looking for a symbiotic partnerships to aid in confirming the viability of our product. We need help getting FDA clearance for running an optimal clinical trial. Expanding the team to 2 data scientists, 1 software engineer, 1 GUI expert, 1 business development. "I see my neurologist twice a year, about half an hour every time. That’s one hour per year in healthcare for my Parkinson’s disease. During the same year I spend 8,765 hours in selfcare, applying my knowledge and experience together with what I get from my neurologist to manage a difficult condition as best I can. Only during the one hour per year am I in direct contact with neurological specialty care and its clinical practice and guidelines. And it’s also during this one hour that my condition is evaluated by my neurologist and my treatment is prescribed. But it’s during the 8,765 hours of selfcare that I put my treatment into action. I take 6 prescription drugs, 6 times a day, in 5 different combinations, with 6 different time intervals. Because let’s face it, my doctor doesn’t even know if I take my medications or not. It is also during my 8,765 hours of selfcare that I can observe the effects of my treatment. And what if I could register my observations in a systematic way and bring to my next neurologists’ visit?" - Sara Riggare parkinson's disease patient and advocate for patient empowerment. 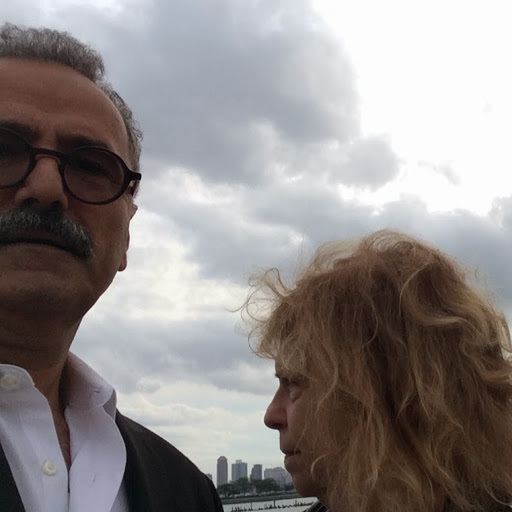 We want to help the patients for the 8,765 hours spent without clinical supervision. Medical graduate/entrepreneur looking to disrupt the healthcare space by advancing movement disorder care and mitigation via remote patient monitoring.